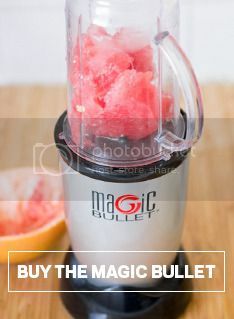 Bet you didn’t know your Magic Bullet had uses outside of the kitchen, too? A few simple ingredients, a quick whirl in your Bullet, and your skin will be thanking you. This face mask uses nature’s goodness to replenish your skin and clean your pores. Oatmeal contains polysaccharides, which form a gel when combined with water that soften and hydrate the skin The healthy fatty acids and phytonutrients in avocados can be enjoyed when eaten, or topically as well, and eggs work double time as a mask: egg whites exfoliate and tighten pores, while the egg yolk is particularly good for dry or sensitive skin. Add oatmeal, the meat of ½ an avocado and 1 raw egg to the Short Cup. Apply a thin coat to your entire face and neck, avoiding the eye area. Let the mask dry (about 30 minutes) and then rinse off with warm water.